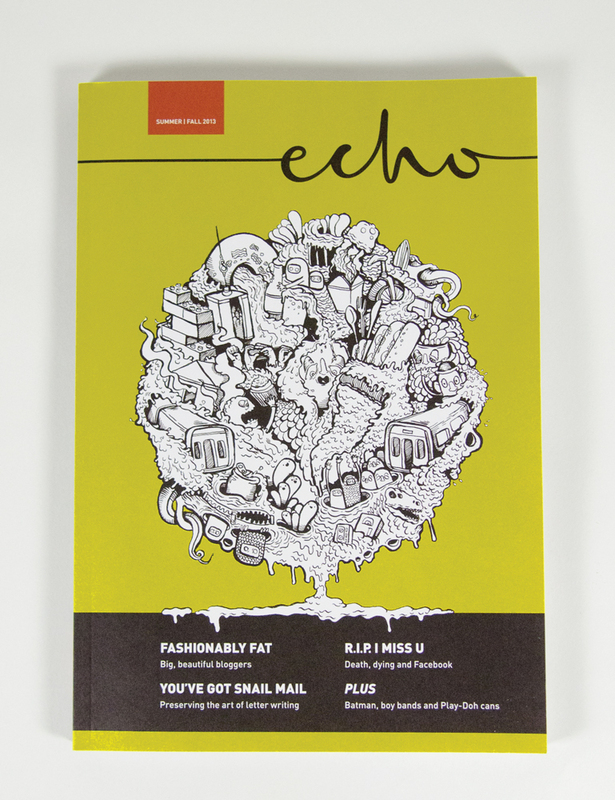 Echo Magazine is the primary arts and culture magazine of Columbia College Chicago. Echo is distributed around the city with the Chicago Reader and over 30,000 copies are printed every edition. 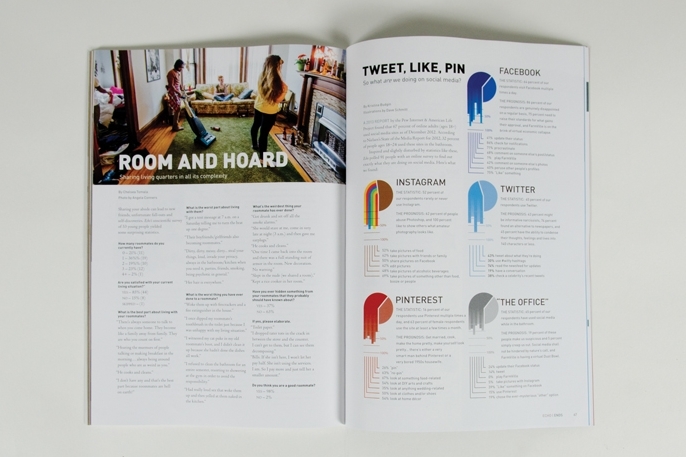 Each semester a publication design class rebrands and designs the layout of the magazine. For the Summer/Fall 2013 issue I was one of two art directors for the publication. I worked with a team of designers, journalists, photographers and illustrators to create this issue. In addition to my art director position I designed the hand-lettered logo, meant to be representative of the variety of creative forces at Columbia College.